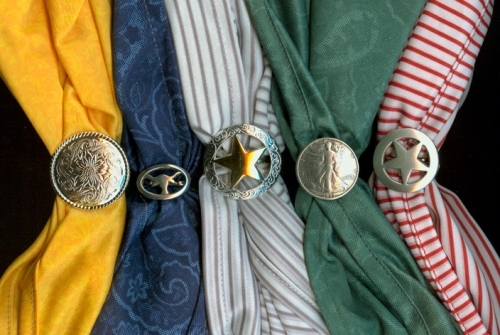 Scarf Slides add a bit of style to your look and help keep the scarf flat and out of the way. There is a 3/4" Slide Bar on the back of each Concho. 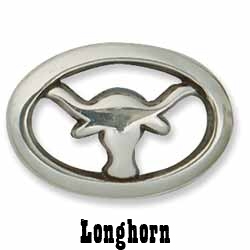 This is a subtle Longhorn shape that yells "COWBOY!" l A bit smaller than the others, it will age with a nice old west patina.